Located in the southeast U.S., South Carolina has coastline along the Atlantic Ocean. 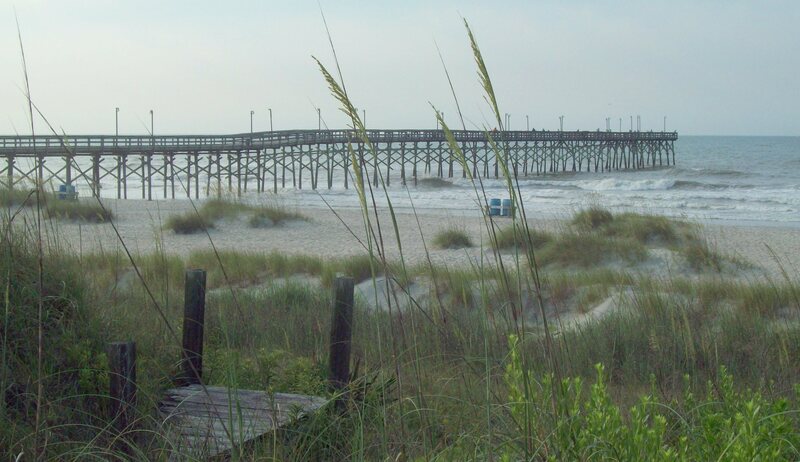 There are plenty of wide, sandy beaches in South Carolina as well as salt marshes and barrier islands. Hot summers invite visitors and residents out to its various swimming spots. Myrtle Beach is the most famous beach in South Carolina. This beach has stormwater runoff pipes that drain offshore and have historically affected water quality. Recent work has been done to combine some of these pipes, place them underground, and drain them further offshore in order to maintain water quality closer to the beach. Beaches in Charlestown’s barrier islands are as unique in atmosphere as they are in history. This is a great place to come if you like pirates, wild horses, and water sports! Folly Beach, Surfside Beach, Isle of Palms, Edisto Beach and Hunting Island are also popular in South Carolina. Edisto Beach is known for surf fishing, and Beachwalker Park on Kiawah Island is home to many kilometres of beach front. Beachwalker park is an internationally recognized beach with protected marine habitat off the coast. Inland, you’ll find several freshwater lakes that remain cool during the warm summer months. Swimming and boating are popular at many of these locations.